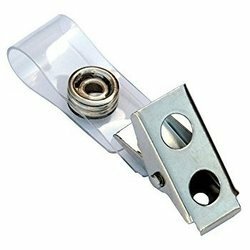 Under expert guidance of our engineers and technicians, we offer a wide assortment of Badge Clip Fitting & Other Accessories. These are manufactured using premium quality raw material and highly appreciated for its reliability, durability, economical sources and efficiency. 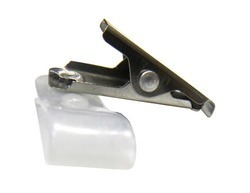 Our range of products includes Clip Fitting & Other Accessories. These Badge clip ( sticker clip) is mainly used with the CH 23 of our card holder or with the name plate holder which is normally carry on the shirt. Our badge Clips are manufactured form supreme quality raw materials under high observation of experts. As a leading manufacturer of office & stationery products we are one of the manufacturer of Badge Clips & Accessories in India. 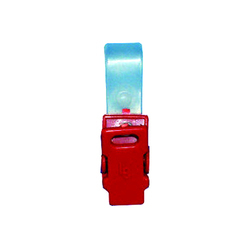 We provide you various types of Badge Clips which is used with neck lanyards. The Badge Clips is available on regular basis from our side. 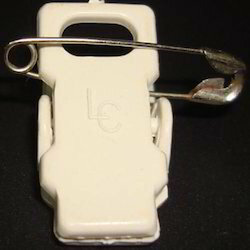 For ID Cards these badge Clips is usefull. 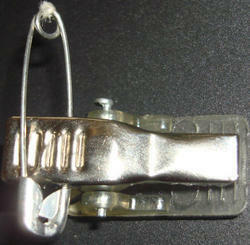 We provide you Badge Clips with different features like Accurate Dimension, Precisely designed, Excellent finishing etc. 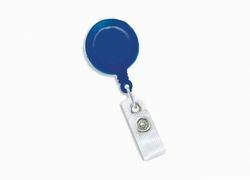 We are the leading supplier of Oval Yoyo Badge Clipsmade available to our clients at competitive prices.